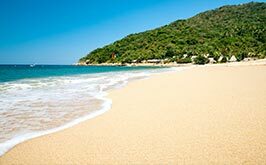 Riviera Maya is home to alluring coastal sites and offers a wealth of activities for you and your guests year round. 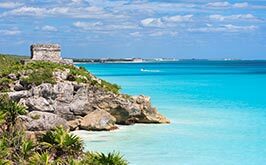 You could enjoy the wedding of your dreams by planning a destination wedding in Riviera Maya and spend time taking in historic sites, beautiful sunsets, and cultural landmarks around Playa del Carmen nearby. Use these tips to plan a destination wedding in Riviera Maya. Choose the right theme. 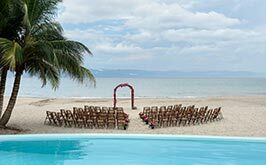 The tropical atmosphere in Riviera Maya will be the perfect backdrop for your wedding and you'll need to choose a theme that will complement the venue. 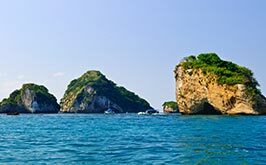 Take some time to research the latest trends, from nautical and underwater themes, to tropical and whimsical styles. Confirm your guest list months in advance. 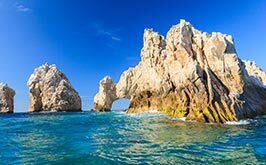 All the guests you invite to the wedding may need to take time off work and make travel arrangements to fly to Mexico for your grand celebration. 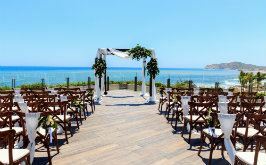 Make sure to send invitations and request RSVPs months in advance of your so you can confirm your reservations for the wedding venue, catering services, salon and spa services, and other details. Choose an all-inclusive resort. Make the most of your destination wedding in Riviera Maya by celebrating your Big Day at an all-inclusive venue. 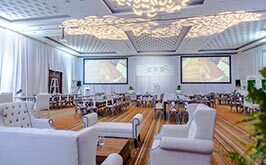 These resorts offer gourmet cuisine, premium drinks, and fun activities so you and your guests can enjoy the VIP treatment throughout the event. 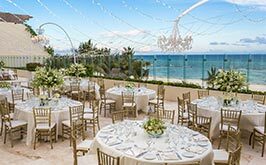 Plan your destination wedding at Grand Velas Riviera Maya, an all-all-inclusive luxury resort on the coast of the Caribbean Sea. 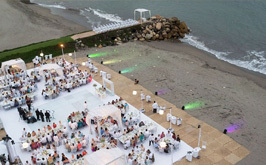 Our breathtaking resort offers exquisite seaside venues, gourmet cuisine, and personal wedding planning services to make your special day a truly unforgettable one. Learn more about wedding services available at the Grand Velas Riviera Maya.